Hello lovely readers! I hope you all had a great weekend. 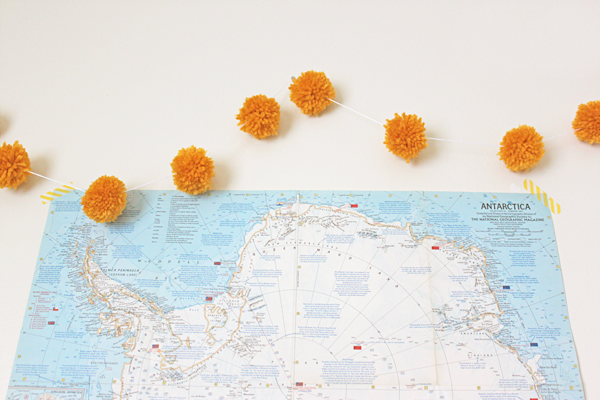 This past weekend I spent most of the time at home crafting and I wanted to share with you this really cute pom pom garland. I've tried making it before following a picture tutorial and it sucked! So I found this awesome tutorial on YouTube and I loved the way it turned out. Enjoy! Here's the tutorial I used. Looks great, i tried these before with bad results, maybe i need to try this version! Thanks Emmy. My first one was horrible haha. This one turned out great! Love these! I was going to buy some on Etsy but now I think I'll make some after seeing yours! Thanks Kerry! You will definitely save money making it yourself! This turned out SO cute! I'm going to have to try this! :) I'm also a new follower from the GFC blog hop! Very cute, I love your Antarctica map, also! The colors are great together. Aw, thanks Shelby! I'm so happy I got it! Great tute...I love these type of easy tutorials! So so cute!! And I love how they go with your map!! These are too cute! Nice job! 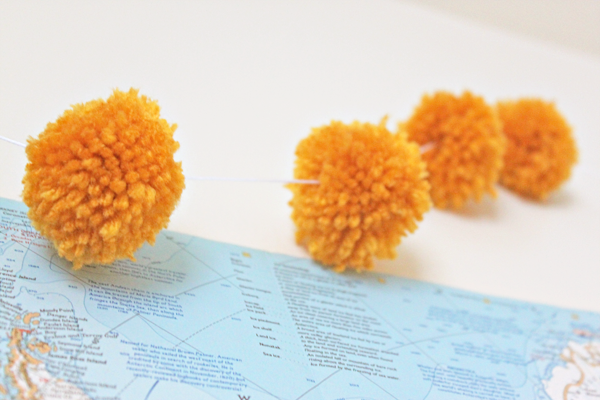 Found you on the GFC blog hop! I. Am a new follower and would love for you to check out my blog too!